The very fancy Analogue NT, a replica NES for wealthy adults, is expensive enough at the best of times. Never mind when it literally ships covered in gold. 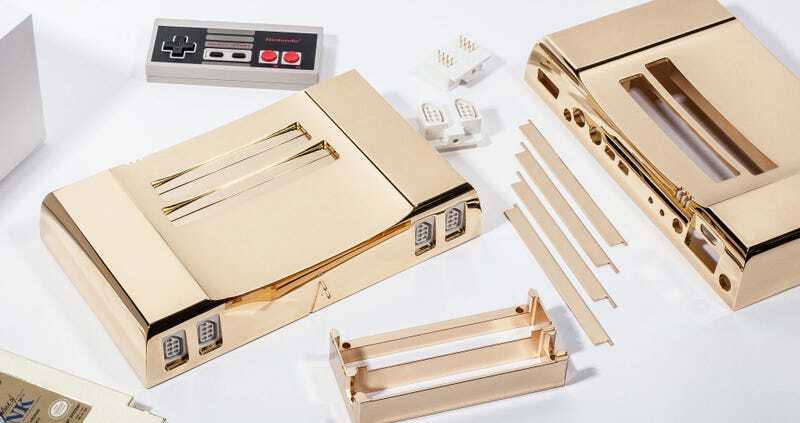 The makers of the console have decided to build ten of the already-expensive consoles plated in 24k gold. Each of these are be priced at $4999. As a bonus—and because the idea for the console came from Zelda’s 30th anniversary—they also ship with a copy of the original Legend of Zelda on cartridge.